Side project is a frequent phenomenon that can surprise very few people today. And yet, what would be your reaction if on the stage of an little-known pub you will see, let's say, Morbid Angel’s frontman? And if he wears a cowboy hat and sings you a couple of country music hits? As it turned out, David Vincent is not the only metal artist who works in other genres. Perky jazz by Tastement’s and Nile’s members, electronic music by Mastodon’s and Lacrimosa’s musicians, as well as blues, classical and even hip-hop. All of it you can find in Noizr Zine’s article about non-metal-projects. The Norwegian musician Jørgen Munkeby found himself in such a lively and vigorous genre, playing the saxophone, flute and bass clarinet. Before Shining, which originally also was a jazz quartet, Jørgen has played in the band Jaga Jazzist. Today, he is also involved in various projects. Mudvayne’s bassist Ryan Martinie proved himself as a virtuosic musician in the American instrumental jazz project Soften The Glare. Among Cerebrum’s jazz musicians, Nile’s drummer George Kollias also spends his time among jazz musicians Cerebrum. Alex Skolnick, best known as Tastement’s guitarist, appears frequently in public with concerts of his eponymous project Alex Skolnick Trio. The musicians are not limited to the typical motifs, skillfully performing jazz covers of Black Sabbath, Metallica, Judas Priest, Iron Maiden and other classic metal hits. Their fourth studio album "Veritas", mostly consists of original compositions, has reached Top 10 on the Jazz Charts in iTunes. In addition to the Mastodon, the American guitarist Brent Hinds is involved in several side projects. The most striking are the rockabilly band Fiend Without A Face and West End Motel. The last one’s works combine country, blues, folk genres and sometimes punk rock motives. "Songs of love, and loss, and laughter," — the musicians emphasize. As mentioned above, David Vincent, a former leader of the death metallers Morbid Angel, from time to time performs with the country/ western/folk band, singing original songs, wearing a cowboy hat and shaking his hips. Revealing the news about working on a blues album, Behemoth’s frontman Adam 'Nergal' Darski caused incredible interest on the one hand and a rush of indignation by the rabid fans on the other. In the recent interview, Nergal described this project as something completely new and its material as very dark and reflecting his outlook. According to the musician, the record release is scheduled for September 2016. After leaving the symphonic metal band Nightwish, Tarja Turunen has returned to classical opera music, with which the Finnish singer started her career. In the fall of 2015, Turunen recorded a solo album, "Ave Maria — En Plein Air", which included twelve variations of well-known work "Ave Maria" with music of various classical composers. If the first three solo LPs by System Of A Down’s singer Serj Tankian were recorded in alternative metal and symphonic/progressive rock genres, then his fourth studio album "Orca" (2012) became a collection of classical instrumental music only. Dream Theater’s vocalist James LaBrie joined the three tenors in the opera-oriented project "True Symphonic Rockestra", founded by the musician and composer Dirk Ulrich. His fellow vocalist became the People's Artist of Ukraine, opera soloist Vladimir Grishko. Karl Sanders is the eponymous ambient project of the American death metal band Nile founder. Unlike the drummer George Kollias, who plays jazz, Sanders further delves into the mystique of Egypt, which has become an integral part of his metal band’s music. Today, Amalie Bruun is known as the founder and one member of the black metal project Myrkur. Sometimes elegant blonde erases a sullen image and becomes the vocalist of pop rock duo Ex-Cops. Among Amalia’s works, there are solo records in pop style. A few artists from our collection have found themselves in electronic music genres. Jake Bowen, the guitarist of the American metal band Periphery, presented a solo ambient/trip-hop album "Isometric". The leader of the German band Lacrimosa some time was hiding the fact that he was the project SnakeSkin founder, performing music in electro style. The third on the list is the another musician of Mastodon, the drummer Brann Dailor. Brann runs concurrently the electro progressive project Arcadea. The selection of non-metal projects will complete another System Of A Down’s member, the bassist Shavo Odadjian. In addition to alternative metal, the musician is into experimental hip-hop, realizing his ideas in Achozen’s works. 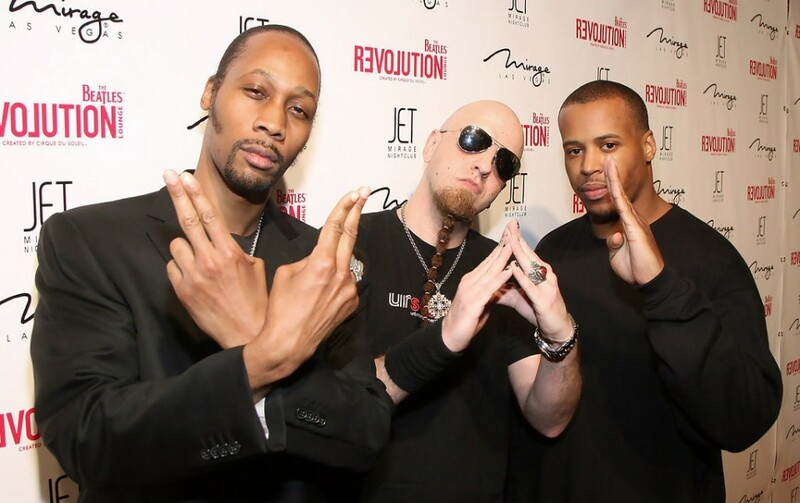 The group was founded together with Robert Diggs, the leader of the rappers Wu-Tang Clan.